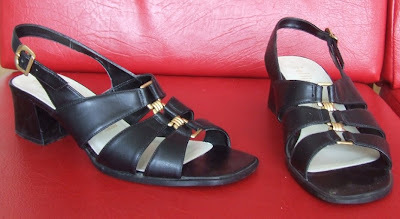 Some black and gold sandals for $3.99. They are the tame version of my much higher black with gold buckles heels. These are for when I want that colour combo but I have a lot of walking to do. 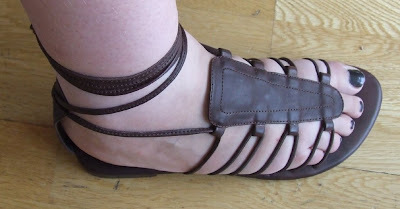 Gladiator Sandals!!! I have wanted a pair all summer but they were either to expensive or not in my size. I was so happy when I found these. They were a little expensive for Savers at $9.99 but totally worth it because they fit me perfectly. 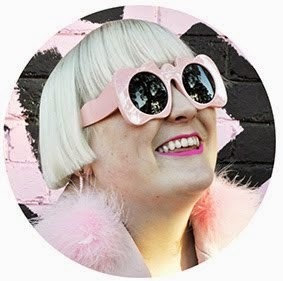 I could see other people eyeing me off when I was trying them on, but sorry I saw them 1st! I will wear these the next time we have a hot day, so hopefully soon. For those who don't know Direct Factory Outlet or DFO for short is a HUGE factory outlet mall with locations all over Melbourne. Guess how much this amazing necklace was...go on guess. Nah I'll tell you, it was only $1. Yes $1. It didn't have a price tag and it was the only one left so I went to the counter and asked the shop girl and she said I could have it for $1. Yay for shop staff making up incredible prices because they are too lazy to check. Yay, thank you shop girl you made my day. The other necklaces at the store were all $19.95 so I defiantly got an amazing bargain with this one. 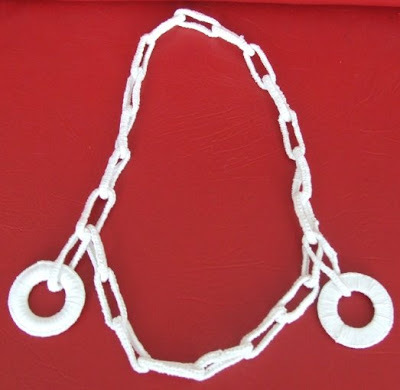 Its basically my dream necklace as it's a giant chain made out of fabric...so similar to the one I almost got at mercibeaucoup in Tokyo for $100. I can't believe it was $1. Yay! I love smiggle stationary. However the DFO store doesn't seem to be discounted at all, its just set up like normal. 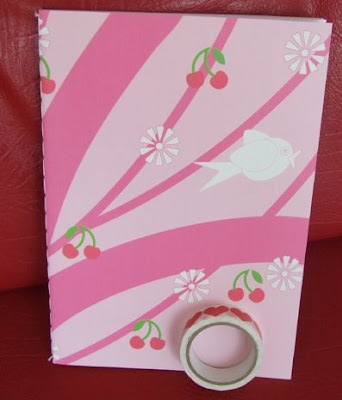 I got this cute note book for $1.95 and the heart sticky tape for 95cents. I can't walk into smiggle without getting something because everything is just so cute and cheap. I rarely go to DFO, but seeing as its a block from my house and next to Hungry Jacks which is what I had for lunch (so not healthy but so yum) I popped in today. I never see any clothes I want really except the Alba Fan club stuff at Jeans West (Ksubi's cheapo brand). You really should check it out because its really discounted, like $5 for some nice high waisted denim shorts and for men t-shirts for $1.50 that Henry bought heaps of at Christmas. However most of the Alba stuff is in really small sizes, hence I haven't bought any. I don't know what the suburban DFO's are like though, are they bigger than the Spencer Street store? Henry's mum is always at the Essendon airport one and wants to take me. Is it worth going to? I love those kind of crazy 'ken bruce' bargains! I will be checking out the DFO. Hang-on what was the men's stuff like? I like DFO essendon better than spencer street. I always find more stuff their even though it doesn't have many of my fave brands. Imelda, Are there DFO's in Sydney? Henry hates DFO, but he always hates cheap brands. They don't seem to have that much men's stuff either...but who knows I don't really look for men's stuff that much. I really want to go see the Alba stuff now. Thanks for the tip off. I have one pair of their jeans and I LOVE them.